Social studies is one of my favorite subjects to teach in 3rd grade. 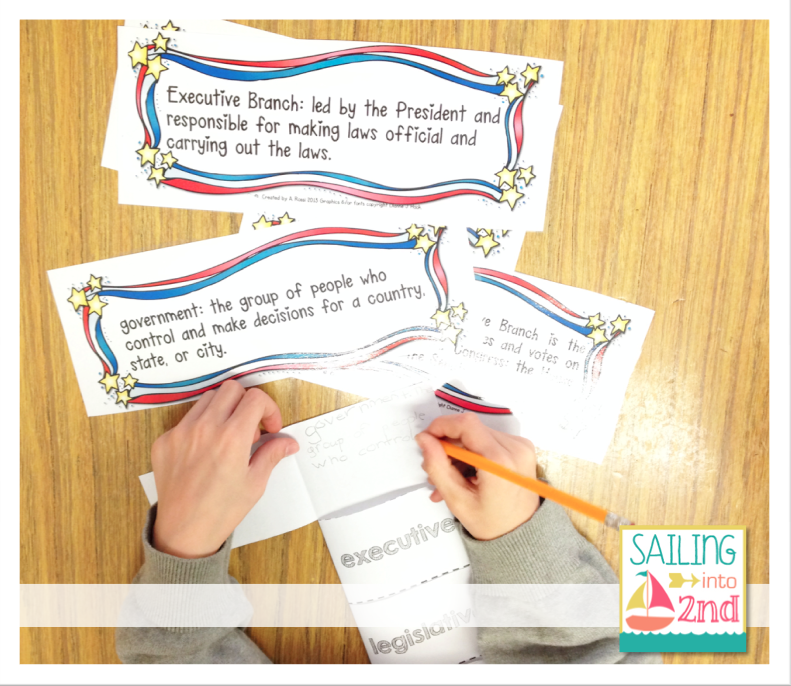 This past month, we’ve been learning about our U.S. government, specifically the 3 branches of government. Here area few engaging strategies I used to launch this fun unit. 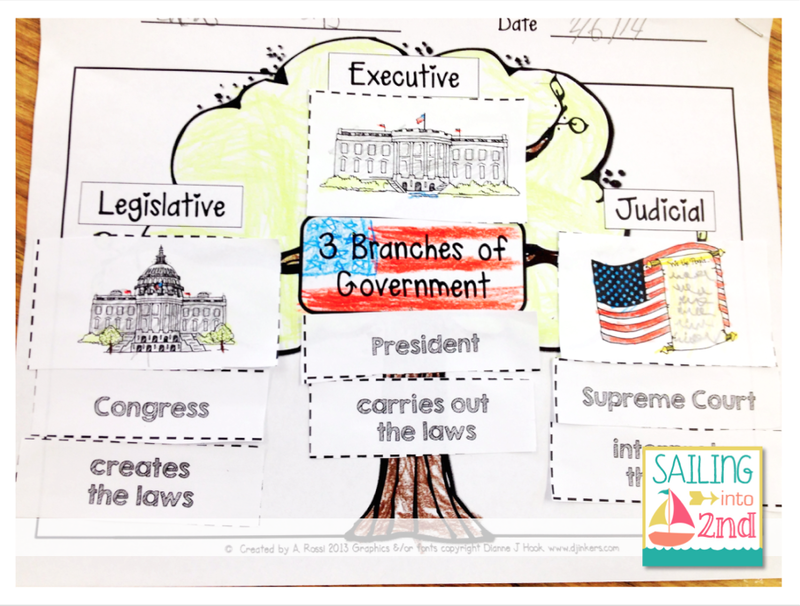 I started out with a pictorial input chart (a strategy adapted from Project GLAD) where I created colorful visuals of information (picture notes) to describe each of the three branches. I drew the picture as I described each of the vocabulary words and concepts. I also used colors to organize/chunk important information. It’s super important to revisit the chart on multiple occasions to add additional information or images. 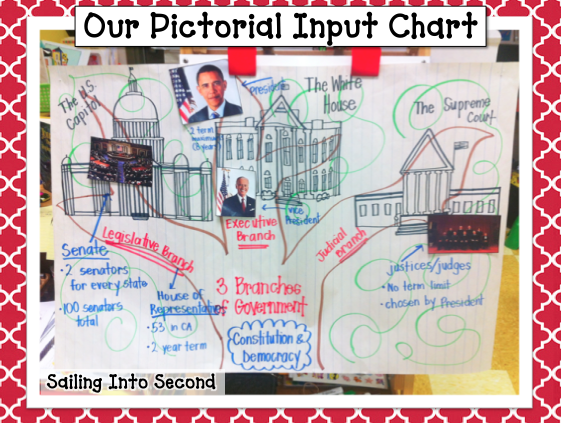 We always keep our pictorial input charts available as resources all around the classroom. At the end of the unit, I “auction” the charts or KWL’s off to students…they go b-a-n-a-n-a-s over them! It’s super cute. Here’s an example of the one we’ve been using during this unit. My students also keep a copy for themselves in their social studies interactive notebooks to refer back to after we finish our unit (see below for example). 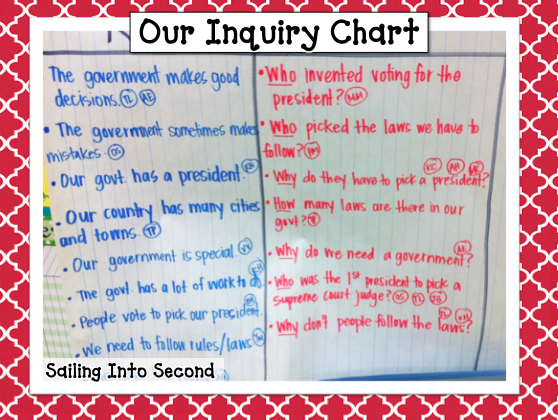 When introducing a new unit (for social studies, math, science, or even language arts) I also use an inquiry chart (very similar to KWL) to assess and activate background knowledge, address misconceptions, teach revision and learning as a continuous process, and to model reading/writing skills. I know…sounds like it couldn’t possibly hit up all of that stuff, but it really does! This strategy comes from the inquiry method approach to science to think, predict, and hypothesize. Good stuff. Big books are also another great motivation tool when starting out a new unit. 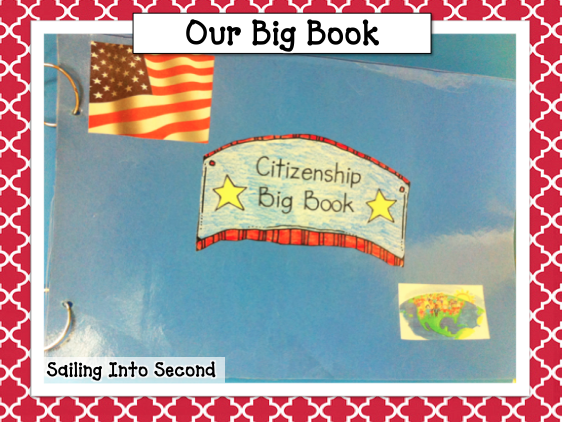 My teacher-made big books directly focus on the content standards of the unit and embed important concepts and academic vocabulary. It exposes my students to comprehensible expository text using real pictures they love. It’s a great way to get students motivated about a topic and it’s what the common core is all about…being exposed to more expository texts! 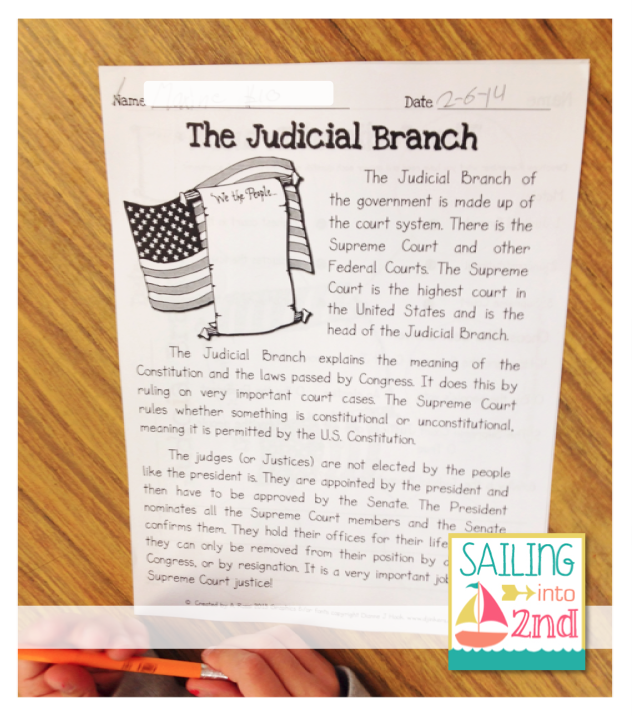 During small reading group centers, I pulled out these informational text reading passages and comprehension activities I created about each of the 3 branches. We spent a few days doing close reads with these passages to really soak in all the great information found in each passage. 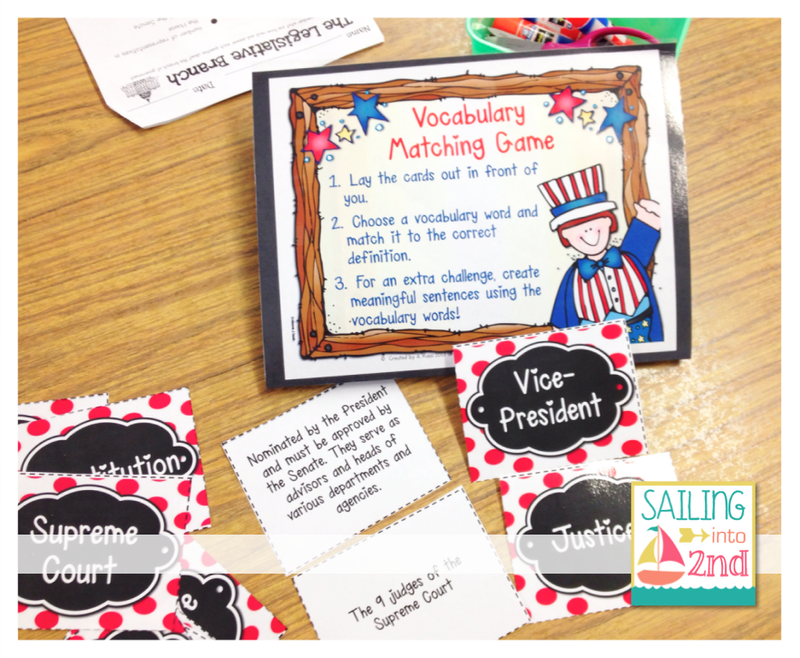 In addition to all the informational text reading, we dove into all academic vocabulary using a vocabulary matching game and cards. They practiced looking the definitions up on the cards and created a flip book to write them down. They had to use the word in a sentence and draw a quick sketch. 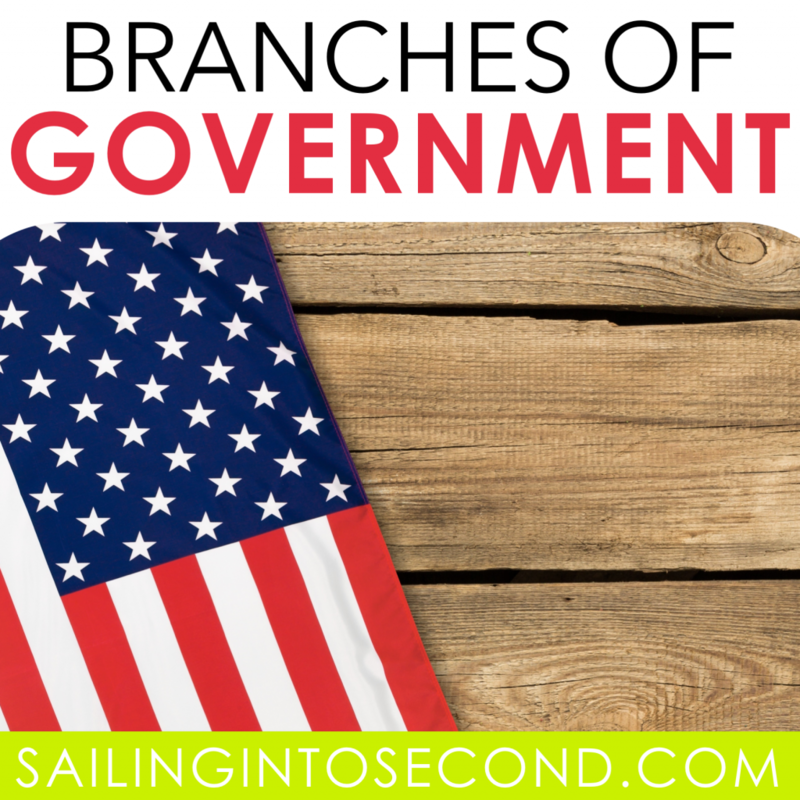 It really helped students remember the specific vocabulary for each branch of government. 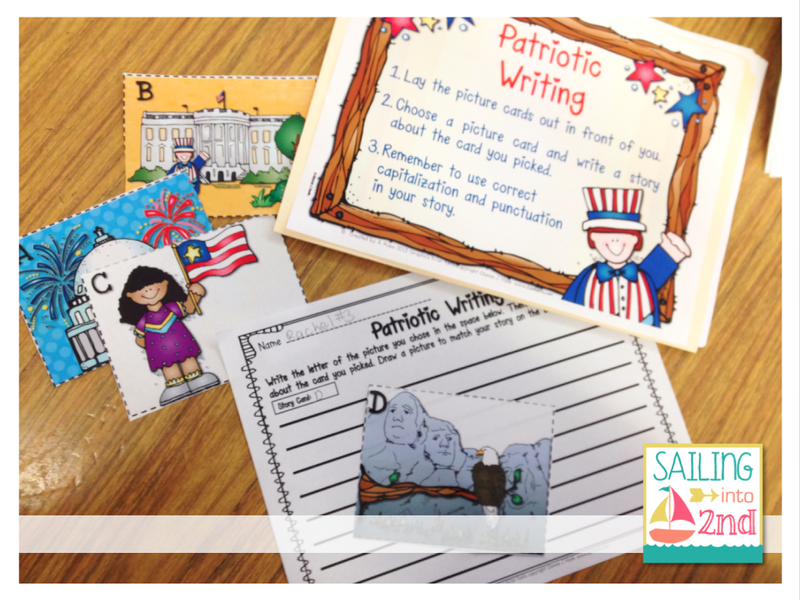 We even got to create some awesome patriotic stories using picture cards. They really enjoyed the creative writing part of this center. My little authors made me proud! Overall, I’d say they enjoyed learning about a topic that might not always be a hit with the kids. It really helps to teach this social studies topic across the curriculum and embed it close reads, creative writing, hands-on learning, and more. We spent many days focusing on the important aspects of our U.S. Government, but really made it accessible to my students in a variety of ways and activities. Auctioning off your KWL charts is the cutest thing I’ve ever heard! Loving your great social studies visuals!